Inside the mind of toddlers. Disclaimer: I can’t actually read toddler minds. If I could, I would be very wealthy, as previously mentioned. However, like most mothers, I can watch my toddler interact with another and harbour a guess as to what is going on in that pretty little head of hers. This past weekend, we headed down to the in-laws farm for a much needed mini family vacation and more importantly, to meet our brand new niece, Maddie! 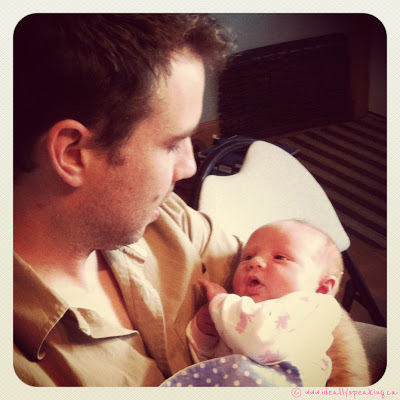 A proud Uncle Adam meeting Miss Maddie. This was incredibly exciting for Lilly for many reasons. First off, she LOVES Grandma and Grandpa’s farm. Secondly, she has grown to adore her cousin, Owen. Third, there was a baby present! Any mother of a little girl knows exactly what I mean by that. 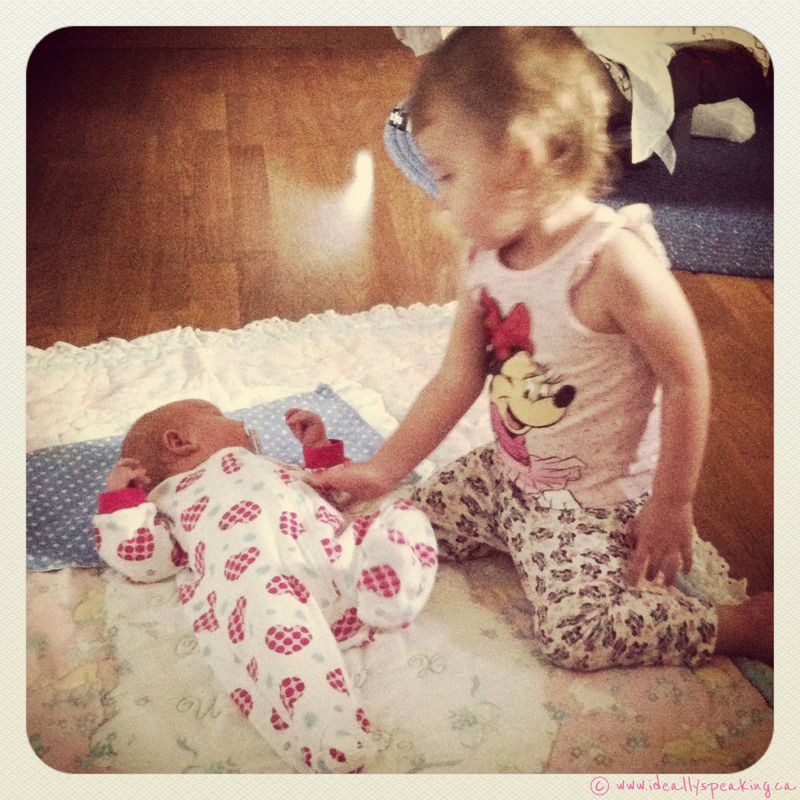 doll stroller & feed her?! She’s a ‘baby’ isn’t she? Thanks to a recent quick visit and a couple of Skype dates, Lilly was quite familiar with Owen and very excited to see him. This was a huge change from a mere 6 months ago, when they couldn’t really be bothered with each other. This being said, Owen was still not thrilled by Lilly’s severe increase in affection. Even 2 year old girls have cooties. I had written back in March how incredibly hilarious it is to watch toddlers interact. 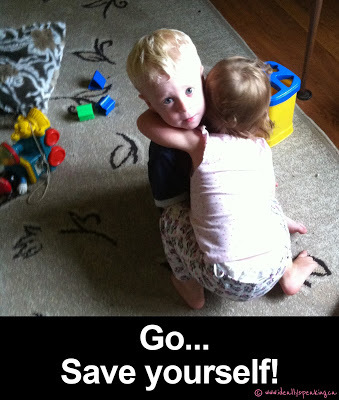 At only 19 months old, the behaviour between Lilly and Owen then was very different than what we saw this past weekend. They have graduated from avoiding each other like the plague, to full on partners in crime. If one thinks it’s fun, they both join in the begging of “again! !” so instead of doing something 50 times, you do it 100 times. Mind-numbingly awesome. One toddler running at full speed across a room full of toys is mildly nerve wracking. Two is CHAOS! Your just waiting for someone to take a face plant. They copy each other for everything. For instance, taking another bite at the dinner table. But don’t be fooled, this can go in either direction. Aunt Laura caught them both licking a door in the house. WTF?! Who’s genius idea was that? 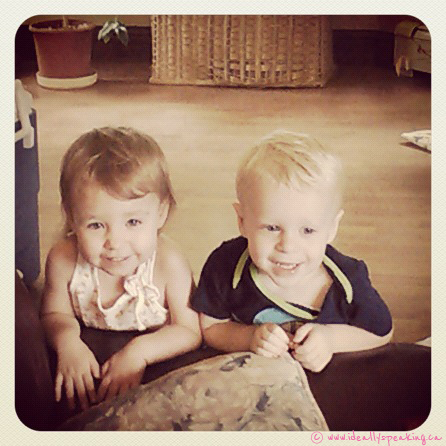 One toddler’s idea of playing can greatly vary from the other. For instance, Owen likes his trains IN the bucket…Lilly? Well she simply does not. 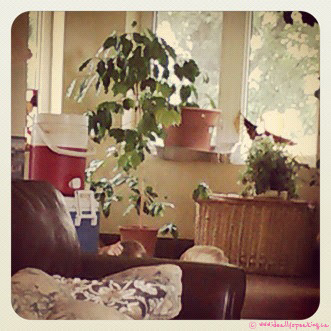 Can you spot the ‘hiding’ toddlers? Baby Ninjas, they are not. Partners in mischief. Guilty faces never looked so cute. Likewise…to Lilly’s other adorable cousin, Mavado, who lives all the way across the country….whom we miss like mad…but that is another post entirely. « #WordlessWednesday: Much needed family photo shoot!